What Is The Best Protein To Drink? - Welcome to SarahKesseli.com! What Is The Best Protein To Drink? Almost every day I get asked, “What is the best protein to drink?” The truth? I don’t think there is any single protein that is “best” for everyone. There are thousands of different brands, flavors, types (whey, casein, veggie), etc. If you are trying to decide what protein would be best for you, I would start with taking a look at what you are using the protein powder for; post workout, meal replacement, snack, muscle repair, baking, etc. Once you have figured out the use, then you can start breaking it down based on dietary composition. Are you looking for a milk based protein (whey or casein), a vegan or vegetarian plant based protein, egg protein, beef protein (yes, they really make this) or even a strict paleo based protein powder? Once you have decided which protein powder best fits your dietary lifestyle, you can then start looking at different brands and flavors. Some really popular brands are Optimum Nutrition, Cellucor, Protozyme, SunWarrior, Vega, MHP (Maximum Health Performance), Designer Whey, etc. Then the ‘delicious’ part comes into play! What flavor! You will usually find the basic vanilla, chocolate and strawberry for almost every brand. However, you will also find other delicious flavors such as banana cream, peanut butter cookie, cookies n cream, cinnamon swirl, white chocolate, berry and a million more! I usually tell people to start out with a vanilla because it is very easy to blend with almost any fruit! The flavor combinations are limited when you get a specialty flavor. As you can see, finding the ‘best’ protein powder for each person is not as easy as it may seem. I wouldn’t recommend a whey or casein protein for someone that has an intolerance to lactose about his. When I work with my clients, I spend quite a bit of time digging into the questions that would help determine the best nutritional supplements for their needs. Protein powder is an important ‘ingredient’ in many of my clients’ personal fitness recipe. The timing and type can be crucial to some clients fitness goals. 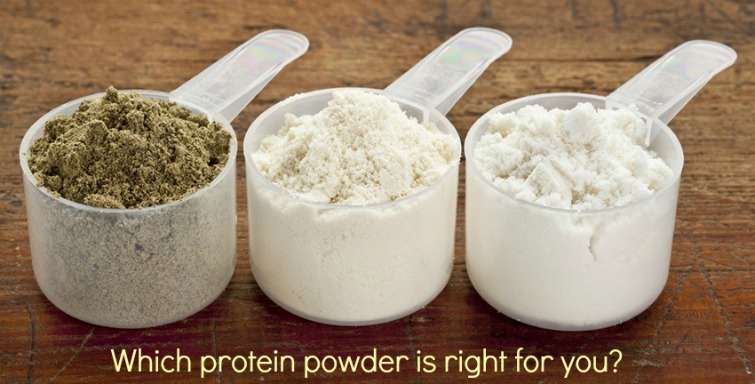 Are you wondering how protein powder fits into your personal recipe? And what type you should use? Let’s spend some time together and assess what your ingredient list looks like!